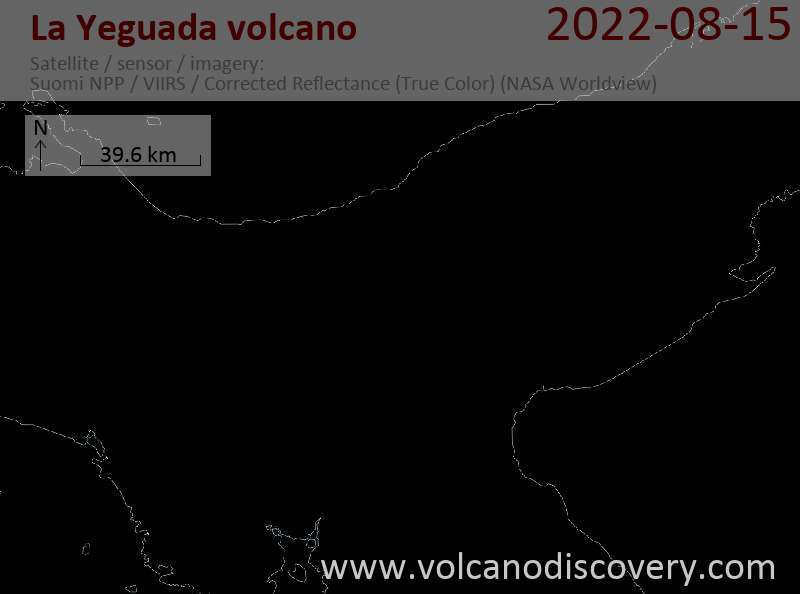 La Yeguada volcano (also known as Chitra-Calobre) is a stratovolcano in west-central Panamá east of Laguna La Yeguada and north of the Azuero Peninsula. The last volcanic activity was at the Media Luna cinder cone about 45,000 years ago. The widely spread information that it erupted only 300-350 years ago is most likely wrong (see below). There is geothermal activity with warm springs at the volcanic complex, including the Chitra-Calobre geothermal field which is the site of intensive geothermal exploration. Volcanoes on the Azuero Peninsula were active from the Miocene into the Quaternary. The youngest major feature of La Yeguada is located within a large fault-bounded horst that forms the high point of the volcanic complex. The latest eruptions took place from the northern part of the horst about 220,000 years ago at Cerro Corero lava dome (also known as Cerro de la Charca), north of El Castillo. The youngest feature of the La Yeguada complex is the Media Luna cinder cone, which was erupted through Tertiary ignimbrite deposits at the NW side of the complex. The oldest peat layer within a small lake dammed by a basaltic lava flow originating from the cone was radiocarbon dated at about 300-350 years ago, but later dating has shown that flow was erupted about 45,000 years ago, and that the La Yeguada complex has not had Holocene eruptions.